Host a sweet party with Sugar Shower and earn big! Host online or at home! Each party receives a unique code. This code is entered at checkout, much like a discount code. It gives a small discount but also tracks the sales of the party. If you are hosting an at-home party, please mention so in the sign up form and we will contact you with further info. When applying for a party, please allow 3 BUSINESS DAYS before start of party. Once submitted, you'll receive your party details via email within 2 days. PARTY LENGTHS are up to ONE WEEK. If you do not follow the 7 day rule, we will adjust your dates for you. Rewards earned will be shipped within 30-45 days of the party's end. If you are a sales rep and being the host of your own party, we allow 1 party per quarter. If you have another person hosting that is not a rep, there is no party limit. Reps: Reps will still receive their 30% commission on party orders. However, the commissions won't show until the party ends. 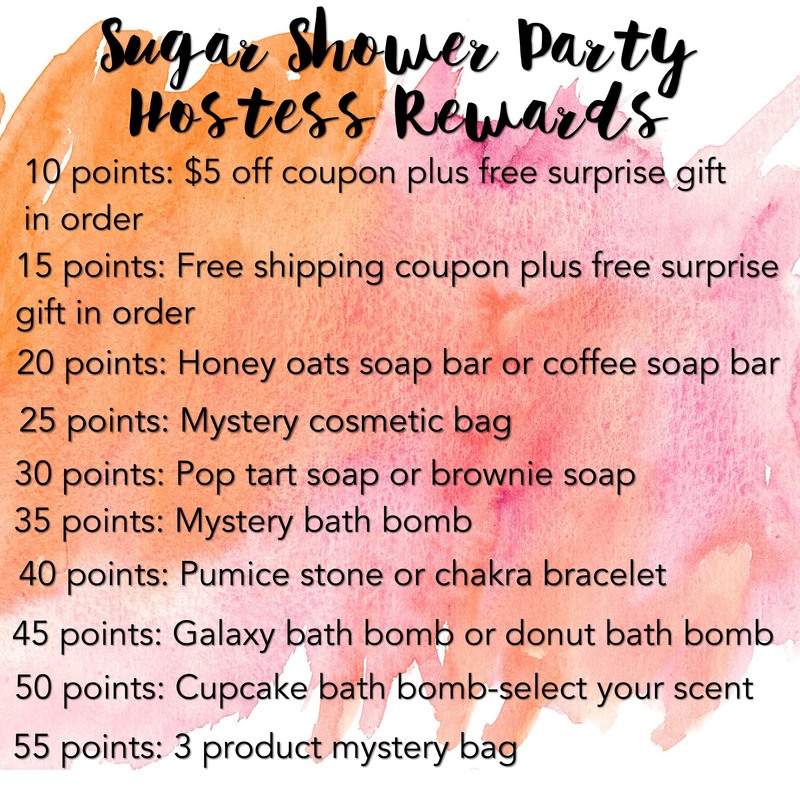 Hostess: Below are the rewards for the hostess. 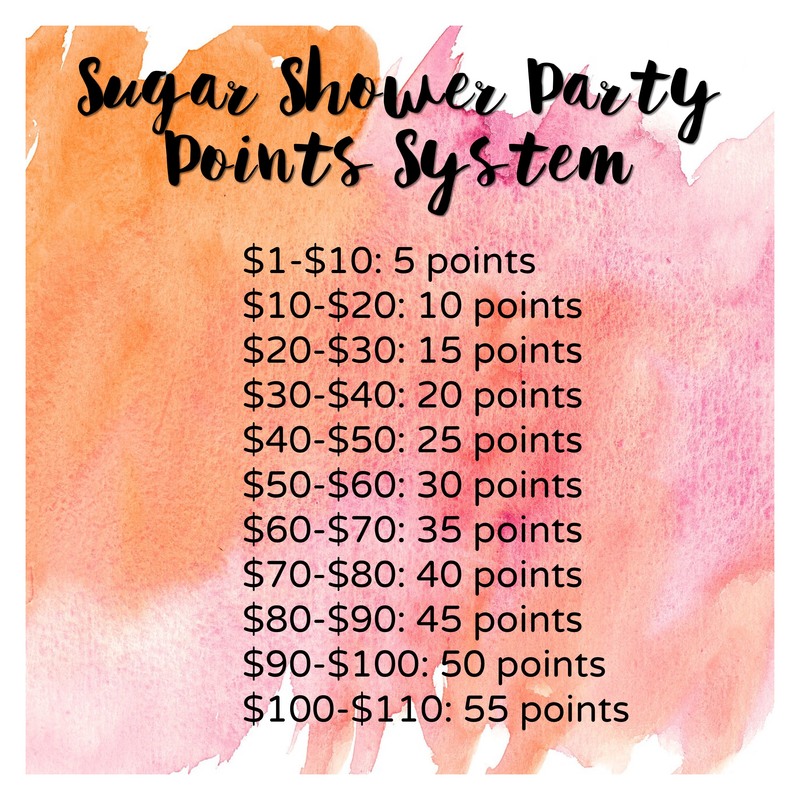 Rewards are only for the hostess.